3The Math Foundations series is probably the most important Playlist on NJW's Channel. Its aim is to encourage a shift in pure mathematics towards a more explicit, computational, and hence logical foundation. We want a mathematics unencumbered by philosophical theory, wishful thinking, appeals to authority, or rote allegiance to enshrined texts. We want people to actually understand and appreciate the logical structure of the subject directly, not from a distance or great height. Currently we have more than 200 videos in the series, so we've organized it into smaller playlists, namely Math Foundations A, Math Foundations B and Math Foundations C. Here are the videos in Math Foundations C.
All 73 videos will be covered by two screenshot pdfs, to be available here at a modest price. Math Foundations 150: What exactly is a set? What exactly is a set?? This is a crucial question in the modern foundations of mathematics. Here we begin an examination of this thorny issue, first by discussing the usual English usage of the term, as well as alternate terms, such as collection, aggregate, bunch, class, menagerie etc that are often viewed as synonyms. While the term `set' as a collection of related objects is reasonably well-understood in everyday life, it turns out that defining what this means precisely involves overcoming a long list of challenges, some of which we lay out clearly in this video. After watching this lecture, you should henceforth be very skeptical about Cantor's `definition' of this term, and the modern wishy washy acceptance of this term . We will have a lot more critical things to say about modern set theory, but this is a good introduction to many of the issues. In mathematics we often want to organize objects. Sets are not the only way of doing this: there are other data types that are also useful and that can be considered together with set theory. In particular when we group objects together, there are two fundamental questions that naturally arise: is our structure ordered or unordered, and are repetitions allowed or not allowed? In this video we give an introduction to the four basic types of data structures in mathematics: lists, ordered sets, multisets and sets. We also introduce a bold new conventional notation that makes recognizing and distinguishing these different data types simpler. This topic is naturally of interest to computer scientists. In our last video we introduced four types of concrete data structures that we could build using natural numbers: k-lists, k-ordered sets, k-multiset and k-sets. Today we have a look at k-lists with a view of: what kinds of natural questions can we ask, or patterns that we can find, or structures that we can define? In this video we look at ordered sets, or osets: the second of our organizing data structures for mathematics. Again we begin with a very focussed and careful set-up so that there is no possibility of ambiguity: k-osets from n, where the objects are always natural numbers from 1 to n, and the number of elements is k. An oset is also ordered, but as opposed to a list it does not allow repetitions. The theory of osets contains within it one of the most remarkable and beautiful of all mathematical objects: the symmetric group S_n. So we give an introduction to some of the issues here, including a discussion of ringing the changes: an approach to permutations introduced by 16th century English bell ringers long before group theory got going. We continue our discussion of data structures in mathematics, now treating the case of multisets or msets. This is an unordered structure in which repetitions are allowed. It turns out that multisets support interesting algebraic structures: notable we are able to add two multisets to get a thid multiset. Together with union and intersection, we get a natural realm structure. In this video we catalogue some of the main laws satisfied by these operations, talk about sub multisets and super multisets. This is a video in the MathFoundations series, where I am attempting to layout new foundations for pure mathematics: more careful, logical and ultimately beautiful. Here we look at a somewhat unfamiliar aspect of arithmetic with natural numbers, motivated by operations with multisets, and ultimately forming a main ingredient for that theory. We look at natural numbers, together with 0, under three operations: addition, union and intersection. We will somewhat informally at this point refer to this as the `realm' of natural numbers. In this video we lay out some of the rather obvious properties that these three operations satisfy. There are some surprises here: in particular we see an unusual new kind of distributive law which will become the basis for the `tropical calculus'. We introduce the realm of natural number multisets Mset(n) for a fixed natural number n. Such msets are k-msets from n, where k is now allowed to be variable. We observe that the realm operations from the natural numbers that we introduced in our last video, namely addition, union and intersection, can now be naturally incorporated into this wider arena, and that the realm laws of arithmetic we discussed apply almost automatically in this set-up. We introduce some deceptively simple but important notation to deal with multisets/msets from n, for some natural number n. In particular we augment addition of msets with multiples of an mset, and use that to give a list-theoretic description of the multiplicity of various elements that appear in a given mset. In particular this suggests the possibility of extending multiplicities to have negative, or even rational number values. Both of these ideas will have major consequences as we use data structures to help us structure parts of modern algebra. We give a short informal introduction to the Tropical calculus, which for us is a novel way of working with the algebra of sets and multisets. This involves defining rather unusual notions of addition and multiplication-- coming from union and addition respectively. The theorem of Inclusion/Exclusion is a fundamental tool in Set Theory. In this video we look at this result in an unorthodox way, emphasizing the role of multisets rather than sets. And we reduce it to a corresponding theorem in arithmetic. As a simple application, we look at the Euler phi function. We expand our view of multisets to include what we call integral_msets: these are msets in which the multiplicities of elements may be arbitrary integers, not just natural numbers or zero! While this may seem a radical departure from convention, it is entirely in keeping with the modern idea that negative numbers have an independent existence and meaning of their own, and that they can be the legitimate results of counting exercises. The key point is that if we enlarge our view to include integral_msets, then not only sums, unions and intersections of msets are available to us --- but also differences of msets are allowed. This is just the kind of flexibility we need to give a conceptual and general statement of the Inclusion/Exclusion theorem. We look at some elementary number theory from the view of applying what we have learned about multisets, including the somewhat novel idea of integral_msets. The Fundamental theorem of Arithmetic, going back to Euclid, has a natural formulation here in terms of the prime mset of a natural number. Note: In the video I prominently forgot to state that the mset P=P(n) is actually unique. This is a key part of the statement! We will then have a look at how this prime mset connects to a few other standard ideas from elementary number theory, and how the discussion pleasantly extends to fractions, where integral_msets naturally come to feature. In this video we complete our initial discussion of the four types of basic data structures by describing sets, which are unordered and without repetition. As usual we restrict ourselves to very concrete and specific examples: k-sets from n, where k is a natural number or zero, and n is a natural number. Prominent in the theory is the idea of a subset, and the partial order of subsets is interesting and connects naturally to binomial coefficients. The operations include unions and intersections, with the usual distributive laws playing a major role. The four basic kinds of data structures that we have been considering, namely lists, ordered sets, multisets and sets, have four basic counting problems associated to them. For example, we can ask how many k-lists from n are there? The answer depends on both n and k.
As we range through the four data structures, we get the four most basic and fundamental counting problems in mathematics. One of them is considerably more challenging than the others! Lists, ordered sets (osets), multisets (msets) and sets are the four key types of data structures. In this video we begin looking at how we can combine these types in a nested fashion, by considering for example lists of lists, or sets of msets etc. This will give us a lot more flexibility in creating a wealth of mathematical objects. This kind of thinking will be very important in combinatorics, graph theory, linear algebra, group theory and other areas. We introduce the ideas of arrays and matrices as 2 dimensional data structures. In this video we define arrays as lists of lists, which is standard practice in computer science and popular programming environments. But we will go a bit beyond the usual two dimensional situation, looking also at three dimensional arrays. It should be noted that we are going to distinguish between arrays and matrices. Matrices for us will have quite a different definition: giving a rather novel direction for linear algebra, also one quite in line with a computational orientation! This video introduce matrices, first in a rather familiar fashion coming from linear algebra, and then moving towards a novel approach which is motivated by our study of data structures. Along the way we review some essential facts about linear algebra, matrix algebra and linear transformations. 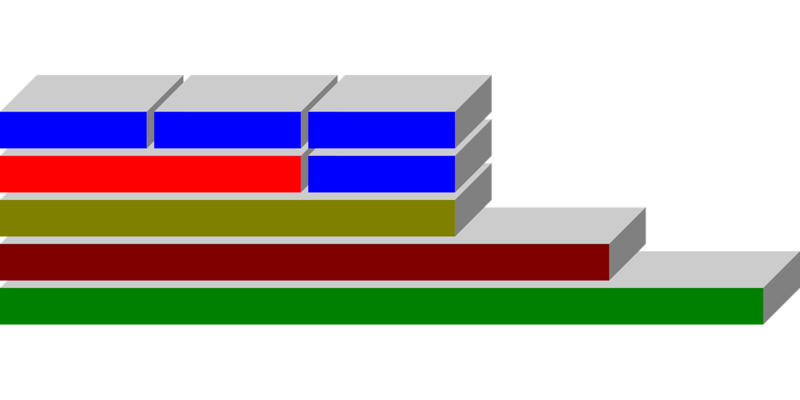 Maxel theory is a pixel by pixel version of matrix theory, now unrestrained by boundaries determined by specific rectangular arrays. Maxels, which are msets of pixels, have an algebra that reflects the geometry of their space of labels. They also form a realm under addition, union and intersection. But most importantly, they have a multiplicative structure which follows from a more fundamental multiplication at the level of pixels. This is a non-standard kind of binary operation, involving remarkably an empty aspect that has few precursors in modern mathematics. We continue to establish terminology and notation for our foray into the new theory of maxels, which largely replaces and extends matrix theory using a data structure orientation. The distributive and associative laws for matrix multiplication here are almost automatic consequences of the multiset view towards maxels and pixels. In this video we also define 1-maxels, which give us a convenient basis notation for describing maxels. We also look at the idea of the support of an mset, and talk about frames as sets of pixels that support maxels. The algebra of maxel multiplication underlies much of linear algebra, although this orientation is a somewhat novel one. To understand this well, we need to investigate how the geometry of pixels determines their multiplicative properties. This will give us new insights into matrix algebra. Maxel theory incorporates matrix theory. Perhaps the best way to understand how it does this is to recognize the importance of certain idempotent diagonal maxels e_J associated to sets of natural numbers J. So we will also need a discussion on the separate, but very important, issue of what exactly we mean by a "set of natural numbers". Naturally, you can expect a more careful and precise discussion than we find elsewhere on this crucial notion. Maxel algebra is a large scale extension of matrix algebra. To see ordinary matrix algebras inside as subalgebras, it is useful to focus on particular diagonal maxels determined by sets J of natural numbers. These are idempotent elements in the maxel world, and we will see how they project maxels onto the rows and columns of J, and restrict a maxel to J x J. This gives us a way of seeing the entire nested family or matrix algebras M(nxn) imbedded one inside another. The multiset framework that we have used to set up maxel theory has a one-dimensional analog, that serves to structure the theory of vector spaces in more general fashion. We introduce vexels as multisets or msets of singletons, in direct analogy with how we introduced maxels as msets of pixels. This will be an important tool to discuss clearly certain spaces associated to the rows and columns of a maxel, and will be an important ingredient in setting up the notion of the rank of a maxel. But we will find that it has wider application: in that it gives us a larger scale understanding of linear spaces and their associated geometries. ​Vexels are a more general framework for understanding vectors, just as maxels are a more general framework for understanding matrices. In this video we link vexels and maxels, by learning how to multiply them. This will allow us to clearly and precisely discuss the rows and columns of a maxel as vexels, and introduce the rank of a maxel. In fact we first define the row rank and column rank of a maxel, and then establish the important Rank theorem for maxels, which states that these two numbers are always equal. What do really big numbers look like? What does thinking about such objects tell us about arithmetic and mathematics more generally? It certainly gives us a dose of reality with regard to the current overblown claims that modern mathematics "understands the infinite". In this video we directly explore some pretty big numbers, like a googol, and a googolplex, and even much bigger ones. We will introduce some disturbing consequences of our inability to do arithmetic with them. This is similar to what happens in "real number arithmetic", when empty phrases and claims become substitutes for actual computations and examples. We also see that induction as a proof technique breaks down, and that even the nature of a natural number is ultimately called into question. So not for the faint-hearted. We introduce the idea of the complexity of a natural number: a measure of how hard it is to actually write down an arithmetical expression that evaluates to that number. This notion does depend on a prior choice of arithmetical symbols that we decide upon, but the general features are surprisingly independent of this initial system. One important tool are higher operations that go beyond the familiar addition, multiplication and exponentiation operations: these have been called hyperoperations and have been studied by many people. Become a Patron of this channel at https://www.patreon.com/njwildberger?ty=h. That way you can support these new directions in mathematics, as well as an educational resource for all those interested in the subject. This is a sobering and perhaps disorienting introduction to the fact that arithmetic with bigger numbers starts to look quite different from the familiar arithmetic that we do with the small numbers we are used to. The notion of complexity is key in our treatment of this. We talk about both exponential and triangular complexity. Complexity rests on our ability to be able to utilize powers. So this video also gives a rather novel overview of a lot of powers that are usually somewhat beyond our view. It is, I believe, instructive to roll up one's sleaves occasionally and descend to specific examination of the arithmetic of our mathematics. The disruptive aspect of this topic arises when we inquire into the large-scale behaviour of this complexity. Note: Mike Dupont reports that Wolfram Alpha gives some information related to complexity. For example at http://www.wolframalpha.com/input/?i=6973568807 we see that 6973568807=2 x 3^20+5. Readers might like to explore this capability (although I doubt that it deals with our triangle exponentiation). In this video we derive a fundamental but destabilizing fact about natural numbers: that almost everything we know about arithmetic with natural numbers starts to break down as we proceed to investigate bigger and bigger numbers. By studying complexity and making some estimates using counting, we can precisely support the claim that most of the "numbers" from 1 to z are in fact completely invisible to us. This raises the reasonable question of whether or not such "numbers" deserve to be called that after all. And it casts a deep shadow of doubt over many claims of modern number theory. In mathematics, we want to write things down. That way we can check what we are actually talking about. Other people can look at it, and assess whether it makes sense or not. We can more easily compare what we are thinking about with other, perhaps related concepts/objects/patterns. But what if we want to write down a natural number so big that it doesn't fit onto our page, or perhaps our hard drive, or even Google's hard drives? What if that "number" we are thinking about is so big that it doesn't even fit in our universe, even if we write in a very tiny fashion? Have we then crossed the boundary from mathematics and science into mysticism and philosophy? In this video we discuss various approaches to the philosophy of mathematics, including not only Platonism, the default position for most mathematicians, but also the Aristotelian realist philosophy proposed by the Sydney School led by James Franklin. Then we concretely estimate just how big, and how small the universe is, and so what kinds of expressions fit into it. We will see that 10 tri 4 is a reasonable, if somewhat generous, bound on the complexity of numbers that we can write down. This makes more precise the claim that most "numbers" less than z are ... invisible. Are we here venturing into Dark Number Theory?? It is time to end the delusion which pervades modern 20th century style mathematics, and move towards a true mathematics for the new millennium. Infinity needs to go! We need to accept the actual reality of mathematics, rather than some fairy-tale wishful dreaming that allows us to prop up analysis and topology. We need to return to the central role of explicit examples and concrete computations, supported by clear and complete thinking that can be acknowledged as such by all! In this video we talk about various grammatical dodges that the defenders of infinity hide behind, and for an alternative introduce the Law of (Logical) Honesty. The job ahead of us is huge-- especially for young mathematicians: to create a new and viable mathematics that really does make complete logical sense, that connects directly with what our computers can do, and that can be understood and expressed clearly and completely, without religious (ie axiomatic) assumptions. A powerful approach to exploring big number arithmetic is to extend the notion of arithmetical operation. By considering hyperoperations starting with +,x,^ and then triangle, square etc we can ramp up arithmetic considerably. We can in fact inductively define an operation *_k for any natural number k.
But then an interesting new possibility emerges, which opens up a whole new world of arithmetic--a rather lofty and hard to comprehend world, to be sure! We can consider a diagonal limit operation. This video is an introduction to the remarkable successor limit hierarchy which allows us to go far beyond our usual arithmetic! But don't worry, we don't actually get to infinity. That's because there is no such place. Addition, multiplication and exponentiation are just the first three arithmetical operations on a fascinating ladder of operations which ascends to dizzying heights. Here we introduce this fascinating successor-limit hierarchy using the notions of successor and diagonal limit that we discussed in our last video. We make a rather detailed analysis of one particular higher arithmetical computation here that the viewer might follow carefully. We are moving beyond what we can do computationally here: so there is certainly an air of unreality about such fantastically large scale arithmetical contemplations. But we are still light years away from the complete fantasy of supposing that we can encompass and then transcend ALL natural numbers to obtain infinity! In this video and the next, we review and extend the successor-limit hierarchy. This is a mysterious ladder of arithmetical operations on so called natural numbers. We say so-called, because the numbers we arrive at are so large as to defy understanding, so their meaning and existence can certainly be debated. In this continuation of this lecture, MF182, we compare this hierarchy to the story of ordinals in set theory. There are very interesting parallels, despite the fact that ordinarl theory is actually highly questionable, as it is built on the exceedingly shaky premises of modern set theory. Which we are going to have to accept is really an empty mathematical theory---and really belongs to philosophy. This video is a continuation of MF181, in which we reviewed and extended the successor-limit hierarchy of very big arithmetical operations. In this video we want to compare this hierarchy with ordinal numbers in modern set theory. Sadly, modern set theory is a theory without a proper foundations. Modern mathematics rests largely on the philosophical belief system that presupposes that it is not really necessary to base set theory on proper definitions and theorems. Rather it is supposed that a list of what we would like to be true, phrased using the term axioms, is allowed to replace clear thinking. We are collectively going to have to face the music about this very cavilier approach to our subject. But if we swallow our objections and very temporarily give the set theorists the benefit of the doubt, we find that their theory of ordinal numbers mirrors, in a remarkable way, the successor-limit hierarchy, at least up to a point. This suggests both that the successor-limit hierarchy has a nature independent of arithmetic, and that ordinal theory might be recast in a more sensible and meaningful fashion. The successor - limit hierarchy exhibits interesting kinds of self-similarity, along the lines of fractals. One manifestation of this appears when we look at the levels of the limits in the sequence. In this video we go further in the sequence to really dizzying heights, probably obtaining numbers far beyond what is normally possible. Of course the extent to which these concoctions are really deserving of the term "numbers" is increasingly debatable. Nevertheless, there are some explicit and highly challenging computational issues here that should interest programmers. This is a place where computer programmers can shed real light on pure mathematics. It is time to turn our gaze back to the true foundations of the subject: arithmetic with natural numbers. But now we know that the issue of "What exactly is a natural number?" is fraught with subtlety. We adopt a famous dictum of Errett Bishop, and start to make meaningful distinctions between primitive natural numbers, Hindu Arabic numerals, and arithmetical expressions. We will see that we need to have a much more careful look at both natural numbers and a lot of modern number theory. In particular we touch base with a disconcerting reality: that there are not an "infinite number of prime numbers". And we give a perhaps novel definition: we actually define clearly and unambiguously what a (primitive) natural number actually is. Not surprisingly, our experience and facility with data structures, in particular msets, will help us a lot. And we end up seeing that in fact it makes good sense to include 0 as a natural number -- a major departure from earlier lectures in this series! What lies at the very core of mathematics? What is mathematics ultimately about, once we strip away all the hoopla and complexity? In this video I give you my answer to this intriguing question. Surprisingly, it is not really the natural numbers: they are fundamental, but not the most fundamental. And geometric objects, basic though they are, are also not at the core. There is an essential dichotomy underlying mathematics, and in this video we find out what it is. The role of "nothing" in mathematics is a curious one. In this video we discuss how different cultures interpreted the nebulous concept, particularly how the number zero was eventually introduced by the Hindus. We also discuss how modern physics has changed its view to empty space in the last century. Here we go back to the first videos in this series and recast that discussion in a more solid direction by utilizing our understanding of multisets. The crucial point is to define what a natural number is in a clear way. This issue is far more subtle than is generally acknowledged. For us, a primitive natural number is an mset of marks, where by mark we refer to a stroke on the page which represents in our minds a "unit something". We don't need to get philosophical about what exactly that means--it is close to being a primitive concept that only relies on our intuition. Pleasantly, the operations of addition and multiplication can be introduced in a natural way using this approach. Addition comes with a new surprise: it is not necessarily a binary operation!! And we can give natural explanations of why the main laws of arithmetic hold. These arguments can be demonstrated to even primary school kids. We get a natural, simplified, logical presentation of the most fundamental arithmetic upon which so much of mathematics is ultimately based. And the role of "nothing" shifts in a subtle way; not only is it captured in the empty set, which is zero, but it is here freed from the shackles of that zero, and allowed to more naturally also be represented by a blank area on our page. Now that we have a clear idea of what a (primitive) natural number is, how should we name them? And how should we organize them? And how do we use them, or perhaps what uses for them do we have in mind? That is what a natural number, at the end of the day, really is. When we start getting serious about the foundations of arithmetic, we have to acknowledge the possibility that natural numbers can be defined in intrinsically different ways. The most mathematically fundamental way is the one outlined in the previous videos: natural numbers as msets of marks. However for practical work, we use the Hindu Arabic representation of numbers. So what is this exactly? That is quite a profound question, and there are different approaches to answering it. In this video we sketch three important possible ways of setting up Hindu Arabic numerals.The mathematics of the coming century is going to look dramatically different. Real numbers will go the way of toaster fish; claims of infinite operations and limits will be recognized as the balder dash they often are; and finite, concrete, write-downable mathematics will enter centre stage. We need to think carefully about defining Hindu Arabic numerals (Num). It is not sufficient to just pin them on our more primitive natural numbers (Nat), as we know that Hindu Arabic numerals extend beyond the range of primitive natural numbers. The way we do this is through a multiset orientation, using our earlier work on polynumbers and vexels. So in this video we start to bring these formerly different aspects of algebra and arithmetic together. In this video we continue bringing the notions of vexels, polynumbers and Hindu Arabic numbers together. After a careful look at Hindu Arabic arithmetic and its parallel with polynumber arithmetic, we shift to a base 2 orientation. This is a bit simpler to explain than our base 10 orientation, at least to someone unfamiliar with both systems. This video sets up binary arithmetic using the framework of base two vexels. However, our notation is somewhat more flexible than usual and incorporates a vertical rather than a horizontal aspect. These conventions will also prove useful when we move to the base ten situation of Hindu Arabic numerals. Primitive natural numbers and Hindu Arabic numerals can be pinned down very concretely and precisely. But what about numbers expressed via more elaborate arithmetical expressions, perhaps involving towers of exponents, or hyperoperations? Is there a consistent and logical proper way of setting up arithmetic with such things? The answer is much less satisfactory than we might like. All kinds of subtle, and not so subtle, difficulties arise. Almost all the familiar kinds of simple arithmetic operations and questions quickly become intractible with these kinds of numbers. Or ought we to say: with these kinds of "numbers"? In this video we discuss divisibility in the context of natural numbers. We look also at the mod operation that allows us to make sense of equations such as 27 mod 8 = 3. The division algorithm that goes back to Euclid figures prominently, and so we will review an elementary but useful approach to long division. We introduce the wonderful world of modular arithmetic, going back to the great C.F. Gauss. This allows us to find remainders when we divide one number by another, often circumventing the need to perform the long division itself. It is a mainstay of modern number theory, and will be important for us in our understanding of primes and divisibility of bigger numbers. There are two important theorems that make the job of understanding powers in modular arithmetic much simpler. These go back to Fermat and Euler. We apply these to the nice problem of deciding z mod 13. Fermat's result helps us understand powers to a prime modulus. Euler's result relies on understanding the interesting Euler phi function, and is a generalization of Fermat's. As usual we like to illustrate theorems with explicit examples. The Unique Factorization Theorem is also called the Fundamental Theorem of Arithmetic: the existence and uniqueness of a prime factorization for a natural number n. It is a pillar of number theory, and goes back to Euclid. We want to have a look at the logical structure of this theorem. In this video we look at both the existence and uniqueness sides of the argument. Along the way, we will have a first look at some (smallish) primes. We also discuss Bezout's Identity, a useful consequence of the Euclidean algorithm. We continue with our discussion of the Fundamental Theorem of Arithmetic, which is that any natural number is uniquely factorizable in to primes. But this is not exactly true, at least not if we allow such big numbers as z into our realm of natural numbers! In this video we look at the actual process of factorization, both the standard one replying on successive divisions by primes, and also a more sophisticated approach relating to the quadratic sieve. The ideas here are very important for modern internet security, and we will be talking a little about how modern computers deal with factoring big numbers. In any case, notions of complexity inevitably raise their ugly head when we start getting close to z and its friends, no matter how powerful are computers are. In this video we look at the explicit problem of finding a factorization of the large number z= 10 tri 10 + 23 into prime factors. We claim that, contrary to the Fundamental theorem of Arithmetic, also called the Unique Factorization theorem, this is impossible. Ultimately issues of complexity overwhelm us, and we want to see explicitly how this comes about. After some perhaps amusing discussion of "dark numbers", we turn to explicit examples of factorizations of large numbers, along the lines of the video FMP1 to get some intuition about what happens when we try to factor larger and larger numbers. This video is really acknowledging a major fork in the road for pure mathematics: continue with idealism in the direction of what we would like to be true, or moving towards a constructive view of the mathematical world which is in line with what our computers can tell us. 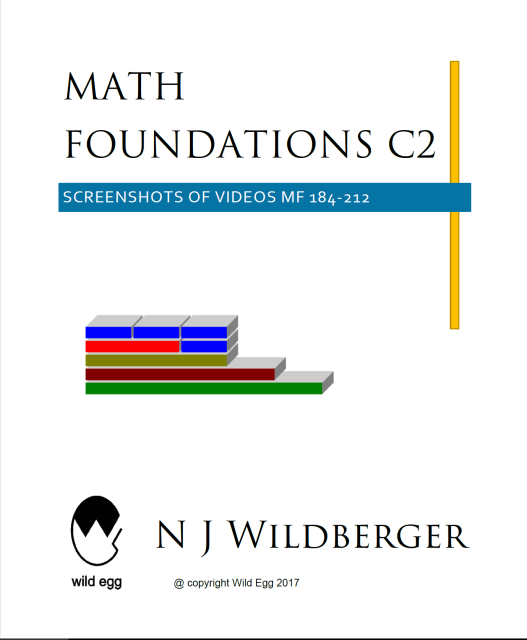 We have just arrived at the 200 video mark in the MathFoundations series, which aims to promote critical thinking about the foundations of mathematics and suggest new and improved directions for the subject. In this video we have a quick look backward at the series so far, summarize again the difficulties that modern pure mathematics finds itself in, and look toward the future of the series. What happens when you look at the decimal expansion of a fraction? Yes it gives us a repeated decimal, but of what kind? What length for example is the repeated cycle of 1/n? Curiously this problem connects in a very direct way with the modular arithmetic question of looking at powers of 10 mod n. And Euler's function phi(n) plays a natural role, extending Fermat's important theorem in the case when n is a prime. In this video we have an introductory look at this interesting circle of ideas. We introduce the idea of the unit group U(n) of a natural number n. This is an algebraic object that contains important data about how multiplication mod n works, even for a composite number n. There is a natural connection with Euler's totient function, and we will see how to exploit this to figure out how big the repeated cycles are for a fraction such as 1/n, even for a big number n.
Along the way, we will summarize some important number theory / group theory facts relating to the unit groups, including prominently Lagrange's theorem. You might notice the video looks a bit different--I now have a new camera, and am working on getting my head around using it! We summarize the argument why the number z has no possible prime factorization. The more prime factors we know of z, the more complex is the quotient of z by those factors. We can be rather specific about how big this complexity grows, using our understanding of reciprocals of natural numbers. So how do we reconcile this with Euclid's theorem of Unique Factorization? Was Euclid seriously wrong? Or perhaps are we incorrect in our interpretation of Euclid's thinking? The reality is that the ancient Greeks spent, relatively speaking, a lot more time thinking about foundational issues than we do, so the answers here should not really be a surprise! We are starting to appreciate the fundamental importance of the framework of Nat, the primitive natural numbers as the basic arena for doing arithmetic. But how do we extend that to an arithmetic with integers? Can we do it in a better way than the classical direction outlined in MF12? We will see that our new appreciation of the power of multisets, together with some insights from 20th century physicists, is just what we need to initiate a major paradigm shift in our thinking about arithmetic. Negative numbers, here we come! We set up integer arithmetic in a novel fashion, using the essential trichotomy of a mark, an anti-mark, and nothing. The idea of an anti-mark is motivated by 20th century physics. But we can use it just as an expression that we write down on the page. With marks and anti-marks, the crucial symmetry between natural numbers (Nat) and negative numbers (Neg) becomes much clearer. And we can set up the foundational arithmetic of integers in a logical and solid fashion, based on the fundamental cancellation between a mark and an anti-mark, and the corresponding important role of "nothing". Along with, as usual, the crucial appreciation of the importance of multisets in organizing mathematical objects. We apply our new found grasp of integers to widening the context of vexels and maxels that we introduced in previous videos in this series. Vexels are generalizations of vectors, while maxels are generalizations of matrices. Both notions allow us to be more flexible about the underlying indices by recasting things in a multiset framework involved singletons for vexels and pixels for maxels. In this video we extend the maxel story to maxels from integers. This means that the entries of the pixels are allowed to be arbitrary integers. The screen on which we represent maxels extends from covering just one quadrant to covering the entire plane. We are starting to gain a bigger perspective here. This has significant implications for linear algebra, as well as analysis. The usual story is just a part of a larger, more symmetrical situation. Matrix theory is just a shadow of the more fundamental and far-reaching maxel theory. In our last video we introduced maxels from integers, which gives us a broad canvas to restructure matrix theory, extending to integer indices. In this video we begin to discuss the ramifications of this larger two-dimensional view of linear algebra. We review some constructs from earlier videos, and extend them to this more general set up, such as the partial identity maxels e_J corresponding to a set J of integers that allow us to identify matrix subalgebras inside our maxels. A lovely feature of this view is that a fundamental shift invariance comes into focus, which is not available in the more classical matrix view. The entire integer screen supporting maxel theory has a symmetry which allows us to shift up or down along the main diagonal. We start this video by reviewing some standard uses of numbers: to allow us to determine sizes of sets/msets, to determine the position of an element in a list, and to scale an mset. This third usage of numbers is very important, and we want to think about how to extend this from natural numbers to integers. To do this we need to have a formulation of how numbers multiply msets. Then we will move to thinking about how negative numbers might multiply msets too! In this video we introduce the idea of the anti of a mathematical object. This is a crucial, but perhaps surprising, ingredient in a systematic development of multisets as a basis for modern algebra. We are motivated by the remarkable (at least partial) symmetry discovered by 20th century physicists between particles and anti-particles. The anti operation provides us with a technical tool to work with multisets in which objects occur with negative multiplicities. In this video we explore some basic features of this fundamental new symmetry, and show how integral msets (imsets) allow us a wider view of both vexels and maxels.